At Mobile World Congress, F(x)tec, a London-based startup dedicated to bringing back and making better well-loved features missing in current mobile phones and related devices, unveiled its first product, the Pro1, a new premium unlocked Android smartphone with a sliding and angled landscape QWERTY keyboard. Focusing on consumers who both desire and share a passion for a refined smartphone experience, the privately funded company is developing products for individuals who miss mobile phone technology from the past and now relish the opportunity to re-engage with and enjoy features that never had the opportunity to reach their full potential. The Pro1 is equipped with a landscape QWERTY keyboard with five staggered rows and a sliding mechanism inspired by the classic Nokia E7 and N950. The slider tilts the screen to a 155-degree angle for optimal viewing. Thanks to a unique and innovative key design, the keyboard provides responsive, tactile feedback with each keystroke. 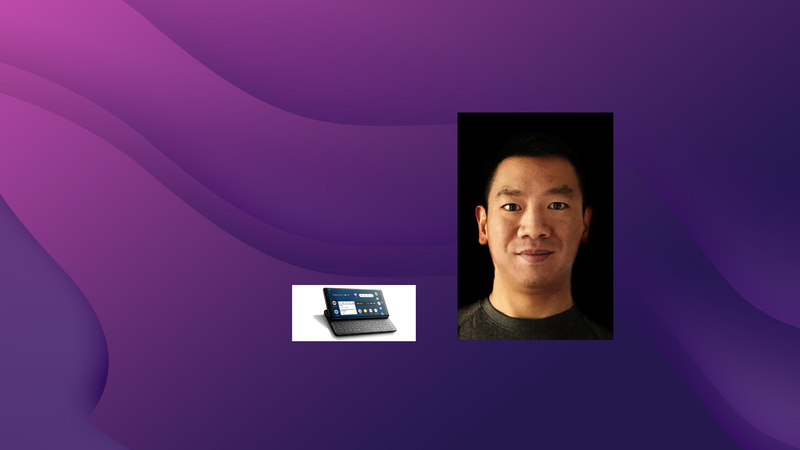 Adrian Li Mow Ching, founder and director, F(x)tec joins me on my daily tech podcast to share his vision of combining the best of what we used to have in smartphones into a modern device for today – Technology Refined. I am _really_ looking forward to the F(x)tec Pro1. And despite that I am in Germany, I will get the qwertY version anyway. As an IT guy I value the dedicated bracket keys more than having the umlauts (üäö). And as I also text to my catalan, spanisch, czech and french friends, I need to use “dead key” layout for accents anyway (ñ, ê, à, ç …). So why bother having umlauts. I _now_ use a modified Motorola Photon Q with Sailfish OS. Which is unfortunately really, really slow with much too less memory. I cannot browse modern websites there. The quirkiest device I ever owned must be the Siemens SX1. That was a total crackpot idea. I mean: Siemens, a company that is a totally square business player, known for absolutely boring landline phones with some equally boring mobile phones at the time. They came up with the crazy idea of putting the 1234567890 keys away from the keypad, sorting them in two vertical columns on the left and the right of the phone. It was a weird thing on parties, as those keys had blue LEDs and the thing was looking like anything, but a phone. The thing is: It _could_ have made sense, when they had used the extra space that became free, where the former keypad was, for display space. You would then have had physical keys the same time as “full size” screen. But no. they but some relly big and useless control keys at that place, rendering the whole design useless. So thats the quirkiest phone I owned… and I owned a lot of stuff.